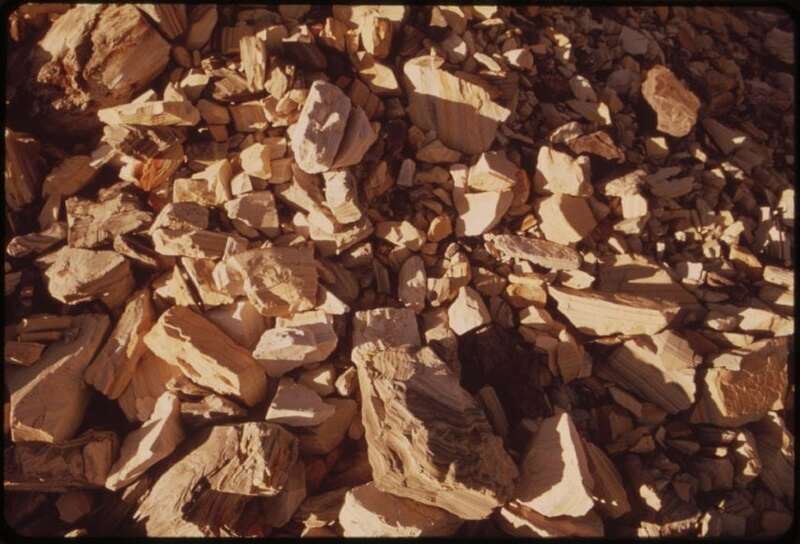 Oil shale is a potential alternative fossil energy source whose kerogen’s chemical structure makes up the basis of its application, presently for pyrolysis or retorting to yield shale oil and gas. The pyrolysis of oil shale is the most direct chemical method to probe kerogen’s structure, which can be regarded as two steps: generation of free radicals after the cleavage of covalent bonds (called primary reactions) and coupling of free radical fragments to form volatiles (shale oil and gas) and char (called secondary reactions). Unfortunately, it is hard to prevent the occurrence of the secondary reactions (like condensation) and selectively break covalent bonds, resulting in products that are not representative of the material’s original structure. Therefore, limited information on the content and composition of primary products, which are obtained by breaking covalent bonds in kerogen, can be found in the literature. Supercritical ethanolysis is a kind of chemical extraction which can effectively depolymerize organic matter like coal and lignin by breaking up some weak bonds. In this work, new insights into weak bonds (including O-containing, N-containing, and S-containing functional groups) of the chemical structures of Huadian kerogen (HDK) were obtained with supercritical ethanolysis, and the resulted products, small molecular compounds (SMCs), were identified. It was found that, after ethanolysis at 375 oC, 87.4 % of HDK was converted by breaking the weak bonds to SMCs, including aliphatic acid esters, aliphatic acids, alkanes, alcohols, aromatics, N-containing organic compounds (NCOs), and S-containing organic compounds (SCOs). In the SMCs, there are 52.0 % aliphatic acid esters and aliphatic acids with carbon numbers from 4 to 26, 11.4 % alkanes with carbon numbers from 14 to 22, 19.1 % aromatic compounds with single-ring and double-ring aromatic clusters, 5.4 % alcohols, 5.0 % NOCs, 1.9 % SCOs , and 5.4 % biomarkers. FTIR and 13C NMR were used to characterize the changes of HDK and its residues, which further demonstrate that the SMCs are present and connected with weak bonds to solid aromatic clusters insoluble in ethanol. After ethanolysis at 375 oC, FTIR shows that almost ester and ether bonds were broken, forming numbers of small molecular compounds, thus 87.4 % organic mass of kerogen became soluble in supercritical ethanol. The result indicates that HDK contains a complex reticulation which is composed of these SMCs with the linkage of an oxygen-containing functional group (like C−O and O−C=O). Moreover, plenty of structural information about HDK was obtained according to GC/MS analysis of ethanolysis products. During the pyrolysis of oil shale, these weak bonds are first broken and the above SMCs are produced in molecular or radical states, which are the most compounds from the primary reactions and readily undergo the second reactions to yield oil and gas. These findings are described in the article entitled New insight into the chemical structures of Huadian kerogen with supercritical ethanolysis: Cleavage of weak bonds to small molecular compounds, recently published in the journal Fuel Processing Technology. This work was conducted by Qing Liu, Weize Wu, Qian Wang, Shuhang Ren, and Qingya Liu from the Beijing University of Chemical Technology, and Yucui Hou from Taiyuan Normal University. Weize Wu is a professor at Beijing University of Chemical Technology in the Department of Chemical Engineering. Professor Wu has authored/co-authored 150+ peer-reviewed publications and has 3,500+ citations. His research areas of expertise are heterogeneous catalysis, colloid chemistry, and supercritical substances.